Your email system is critical to your business. Unauthorized changes or access to email servers increase the risk of data breaches and disruptions to daily workflows. Mitigating those risks requires constant auditing of the email infrastructure and security configuration, including all changes, configurations and access. 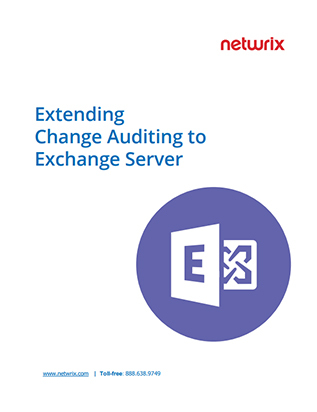 This white paper explores the options you have for auditing the most widely used email system, Microsoft Exchange Server.